First movement (Adagio) of the Flute Sonata No. 1 in A minor by Quantz. It is one of the many works for flute that Quantz composed for his student and patron Frederick II, King of Prussia. German flutist, flute maker and composer. He composed hundreds of flute sonatas and concertos, and wrote a treatise on flute performance called "On Playing the Flute". 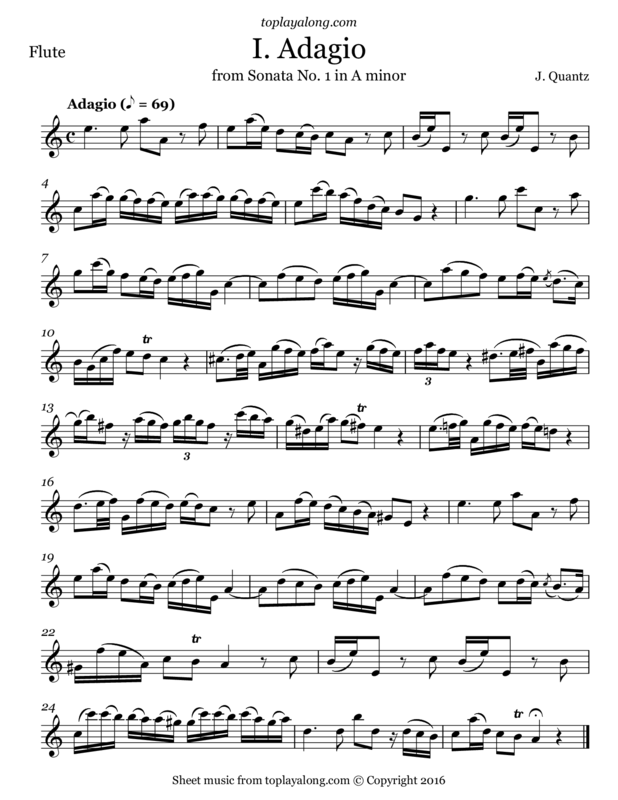 Versuch einer Anweisung die Flöte traversiere zu spielen (titled On Playing the Flute in English) was a valuable source of reference regarding performance practice and flute technique in the 18th century.